Another interesting day today. 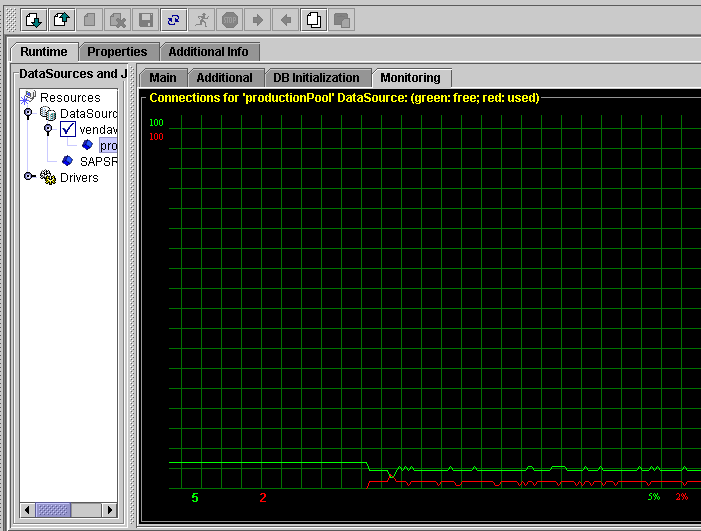 And another experience with SAP NetWeaver Java application server. Our application (Vendavo of course) suffered with intermittent database connection problems in one of the customer environments. Like in many other cases, also in this case Vendavo is deployed to SAP NetWeaver Java stack. More details about this exception can be found at help.sap.com. 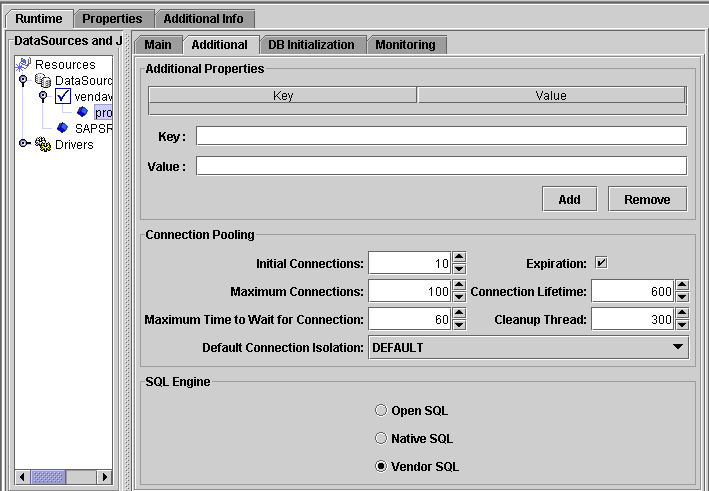 After we verified that Oracle parameters PROCESSES and SESSIONS are set to sufficient values we came to conclusion that problem is in NetWeaver database connection pool, where the limits are hit. And that the most probable cause of the problem is connection leak. Somewhere database connections are not properly closed. 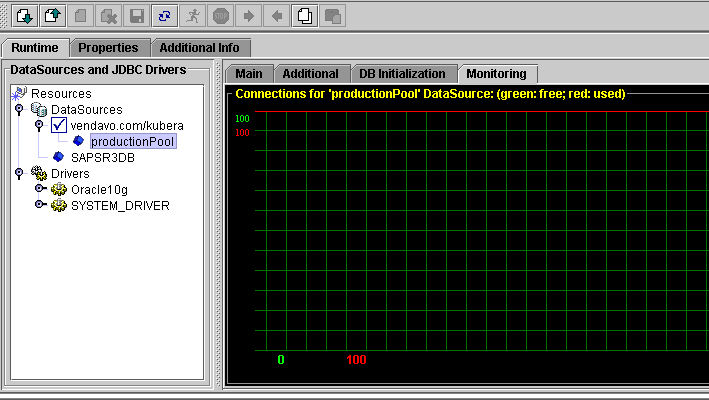 I found that SAP NetWeaver Java App server contains very nice connection pool monitor in its Visual Administrator. Real-time chart displays number of used / free connections in the pool. We found that after a particular business action is invoked, limit of connections in the pool is hit almost immediately. Next figure shows that pool does not have any more free connections. All 100 connections are used. I really appreciate the idea having the real-time connection pool monitor in Visual Administrator. A very good job…. but, how did you find the code where the connection was not closed properly?? we are facing the same issue and can't solve it…. i think it is a risk analysis batch job..